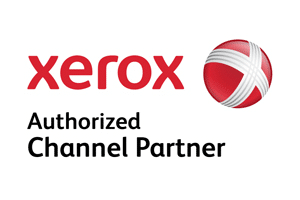 As the world leader in document management technology, Xerox has become a $17.6 billion company. Fortune 500 ranks them as number 147, and they have more 54,700 employees on a global scale. What areas does Xerox excel its competitors in? You want excellent services and support from the company you buy from because that ensures your long-term satisfaction. In terms of awards, Xerox has won the Outstanding Customer Service Experience award for the fifth year in a row. How does Xerox keep its edge over the competition? In an interview with Bill Steen-burgh, Xerox Senior Vice President, he stated that Xerox assures customer satisfaction through excelling the strict standards of the J.D. Power and Associates certification. We operate a Xerox-authorized establishment, which means that we specialize in Xerox copiers. What does that mean for you? It means that if problems arise with your copier, we can send out Xerox specialized technicians to fix the problem. This reduces the downtime of your business because every copier brand differs, so you want someone who understands the inner mechanics of your specific brand. At our Denver business, we can help!